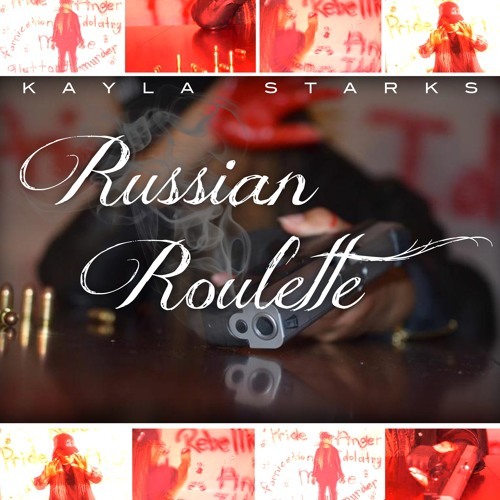 Listen to the new track from Kayla Starks. According to Starks her new track "Russian Roulette" is based on the verse Romans 6:23 which says, "For the wages of sin is death, but the free gift of God is eternal life through Christ Jesus our Lord." She states," the game of Russian Roulette has subconsciously been the way all humans have gone about playing with sin for centuries. We continue to take chances and risks we've tried in the past because we've yet to get caught by what we know as a "deadly consequence." But, when we finally slip and fall into something we fail to get out of, the first name we call upon is the one we remember being all-powerful, all-knowing, love and grace; promising "If you get me out, I'll never do it again." This song was made to show the stage/season in EVERY human's life that "we all were born into sin." We are faulty, wicked, lost souls given sin as the gun and each chance we take as the bullet. Just remember, you never know when your the one with the bullet in your chamber. This is "Russian Roulette."